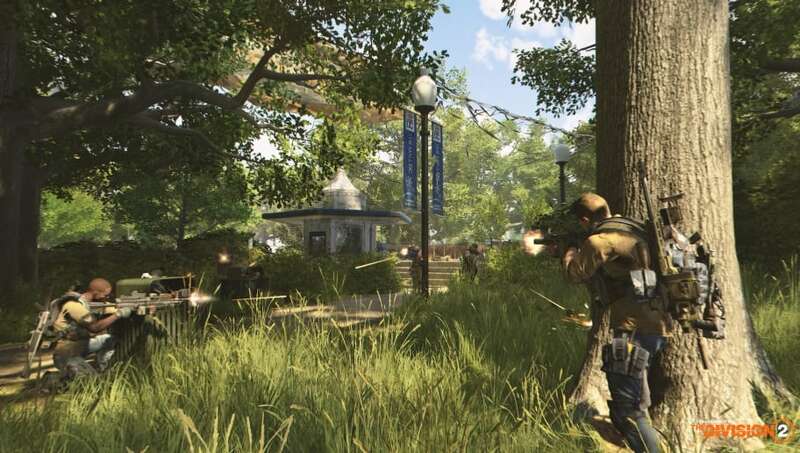 The Division 2 raids have been confirmed for the new massively multiplayer loot shooter in a welcome departure from the first game’s Incursions. Here’s what you need to know about them. Publisher Ubisoft announced raids would appear in The Division 2 during its E3 2018 caress conference. The first raid, titled Operation Dark Hours, will release April 25. Operation Dark Hours, like the rest of the raids set to come to The Division 2, will be free to play. Up to eight players will be able to take on each raid together. Dark Hours itself appears to be set in an airport near the edge of Washington, D.C, but trailers thus far have kept specifics few. A leak posted on Reddit March 16 claimed the airport in question to be Ronald Reagan Airport, with the mission also taking place on Arlington Island. The leak stated the mission objectives would be to survive the assault on the bridge, find stolen GPS coordinates, protect a named agent, confirm a kill and more. Ubisoft and developer Massive Entertainment plan to release more raids over the course of The Division 2’s lifespan, but those remain under wraps.